Find out how you can reduce the cost of your business landline bills and boost your business profits. The financial pressures of running a business can be difficult enough to manage without having to worry about large landline bills. 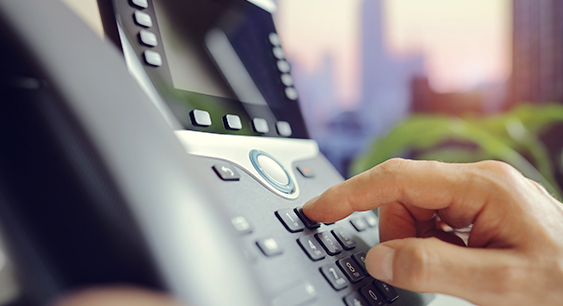 If you're looking to cut down on your spending, there are a number of ways to make your business landline as economical as possible, and keep your bills to a minimum. One of the simplest ways of keeping your business phone line costs down is to make sure you know what deals are available. You can save hundreds of pounds a year depending on the size of your business by moving from an unsuitable tariff to one that's right for you - the only way of doing this is to research the market. Here at Make It Cheaper, we can help you to find the best deals for your business by providing quote comparisons from a variety of providers, as well as expert, free, impartial advice. All you need to do then is choose which is the best business landline deal for you and your business. You should keep all of your utilities providers, including your business landline, on a regular review cycle, allowing you to take advantage any new deals that might be launched. A growing trend for telecoms companies is to offer bundle services to business customers, allowing you to hold all of your services with one provider at a discounted rate. Companies including O2, BT and Orange are all offering packages that combine cheap business phone lines with mobile phone plans and broadband, meaning you can cut down the number of providers you have, saving time and money. Again, make sure that you keep these bundles under regular review, so that you can take advantage of new customer discounts with other providers when they arise. You should check your current landline plan to see if you're paying for any non-essential extras that are adding to your monthly bills. Additional services such as call waiting, caller ID and call forwarding may be nice to have, but could also be costing you dearly. Keeping your landline package simple or adding individual services that you actually need can help to keep your costs down. If you have large premises and need to be in constant contact with employees on different floors or within different departments, you can drastically reduce your landline bills by taking advantage of new communication technology. Products such as IBM's SameTime and OfficeIRC are programs you can install business- wide, allowing you to chat to any employee without the use of a phone. They work in the same way as a social messaging service without the distractions, allowing you to send real time messages to colleagues via computer. Using Voice over IP (VoIP) technology, you can make free voice calls locally and overseas. Skype and Apple's FaceTime facility will both allow you to make video and voice calls for free, so you can reserve your business landline for short conversations only and avoid making costly calls to your clients, suppliers or offices. For more information, take a look at our VoIP services guide for more information.